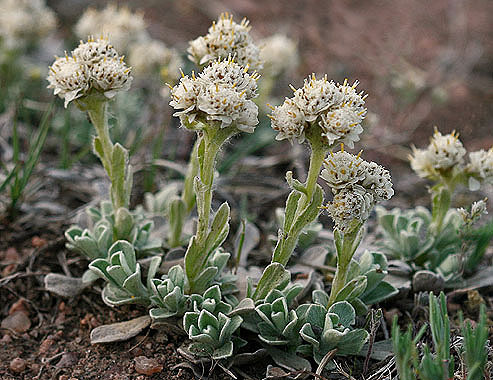 Antennaria parvifolia is mat-forming. Leaves are pubescent on both sides. 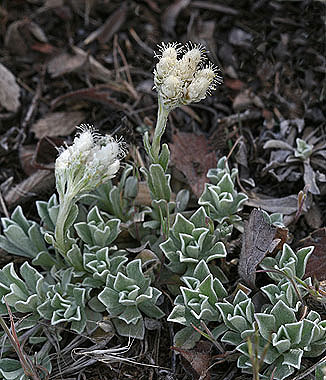 Tips of the phyllaries are white, compared to the pink tips found on Antennaria rosea. 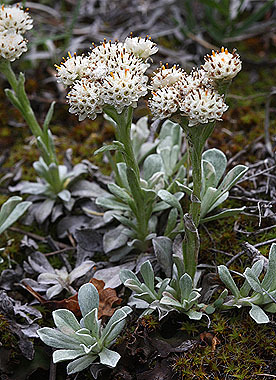 Antennaria spp. 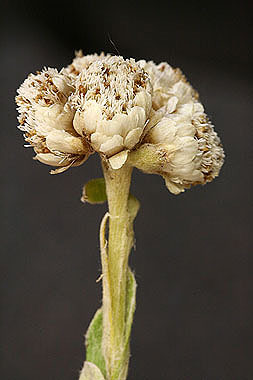 are dioecious, which means male and female flowers are found on separate plants. Above, the first two photos shows staminate (male) plants and the third photo is of pistillate (female) plants. Pistillate plants are more common.